Arizona State is what a university has to look like to solve 21st century problems. Under the old model, one part of the university has no reason to work with another part. At ASU, sustainability is a value system campus-wide, not just a single field of study. The fact is that in order to succeed, you have to make partnerships. The time has arrived. The world needs interventions, globally and at scale. ASU has been on a trajectory to be able to be a significant contributor and a leader in providing the kinds of interventions that are needed. We are committed to partnerships and we’re committed to those partnerships based on equitable participation and respect for the contributions of other organizations. To have any kind of an impact at all, you’ve got to be able to reach tens if not hundreds of millions of people, when you’re talking about doing something for sustainability. 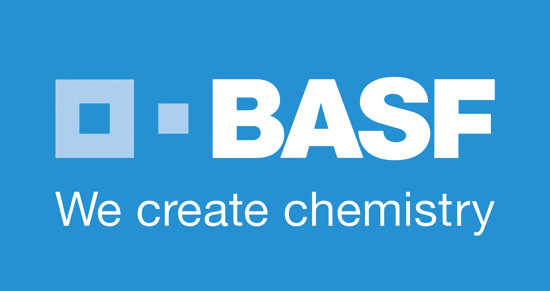 International chemical company BASF has partnered with ASU as the first chemical company to join The Sustainability Consortium. The Consortium assists BASF to conduct a life cycle analysis for its products to determine where in the supply chain BASF can make the biggest reductions in waste and in greenhouse gas emissions. These findings lead to the creation of innovative strategies and technologies to meet BASF’s sustainability objectives. ASU and the Sustainability Consortium have partnered with Best Buy, Dell, HP, Intel, Toshiba and Walmart to determine the environmental effects that electronic products generate throughout their lifecycles. By creating a common framework for evaluation, these companies can help consumers to choose “greener” electronics and can integrate more sustainability principles into their own supply chains. 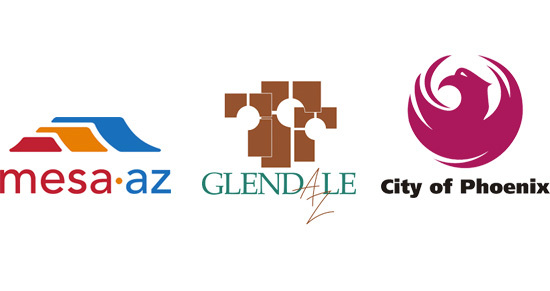 ASU’s Sustainable Cities Network, in concert with the cities of Glendale, Mesa, and Phoenix, hosted the Valley’s first Regional Tree and Shade Summit in 2011. At the Summit, numerous stakeholders identified strategies for expanding green infrastructure in Arizona, focusing on increasing the amount of trees and shade around the Valley. The Summit received a Valley Forward Award of Merit, and has convened again in 2016 to explore even more solutions. 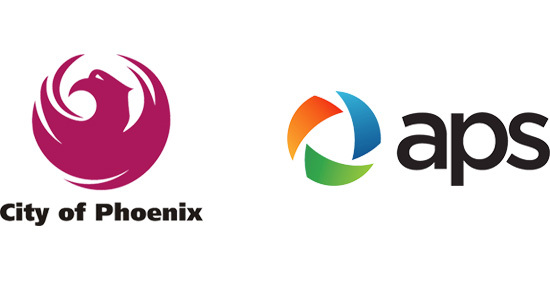 ASU has teamed up with the City of Phoenix and Arizona Public Service (APS) to launch “Energize Phoenix.” The project planned to create thousands of jobs while transforming certain neighborhoods and commercial districts along the light rail line into a “Green Rail Corridor.” ASU worked with the City of Phoenix and APS to retrofit homes and businesses to increase energy efficiency and to reduce carbon emissions in the community. 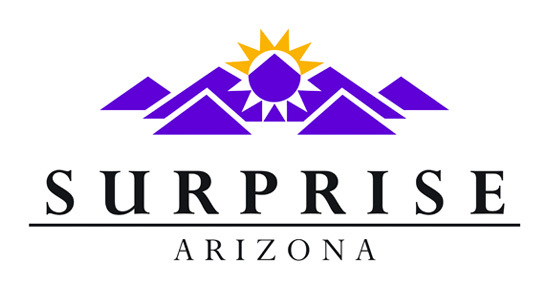 ASU has teamed up with the City of Surprise, as well as numerous other Arizona and military stakeholders to create the Arizona Military Energy Land Use Plan (AME-UP). AME-UP includes an interactive web-mapping tool and a best practices plan for assessing current and future energy projects. These tools can be used by various community planners and military personnel in Surprise to develop renewable energy projects. ASU and U.S.-based nonprofit Conservation International have formed a knowledge partnership to co-develop research and conduct hands-on projects. Scientists from Conservation International will gain experience as professors of practice at ASU, educating future conservation leaders. ASU scholars will help the organization explore sustainable production methods and apply their research in the field through conservation projects. 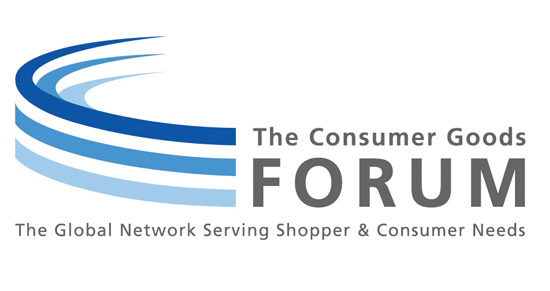 The Consumer Goods Forum (CGF) has partnered with The Sustainability Consortium (TSC) at ASU to develop a universal approach to measure the environmental impact from product life cycles and to communicate those impacts to consumers. CGF, a global industry network, works with TSC to create a science-based methodology for consistent standards across the globe, starting by measuring the greenhouse gas emissions of its consumers’ products. Through its partnership with ASU, Dell employs School of Sustainability student workers to work with Dell’s team to complete ongoing projects. Students gain experience with supply chain management in a corporate sustainability environment while contributing to Dell’s sustainability initiatives. Dell and ASU further collaborate to study the value of online education and the future of learning innovation and technology. 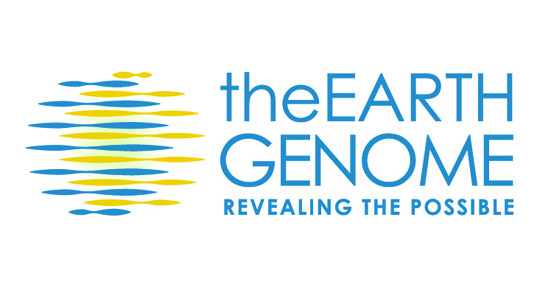 ASU’s Center for Biodiversity Outcomes (CBO) has partnered with The Earth Genome, a nonprofit environmental data analytics organization, to develop conservation and sustainability solutions for life on earth. CBO will provide the expertise of its affiliated faculty to The Earth Genome to build information systems and tools that will enable international stakeholders to incorporate environmental considerations into their cost-calculations and decision-making. ASU is a member of the Global Consortium for Sustainability Outcomes, where members are working around the globe to implement and scale solutions that address critical sustainability challenges. 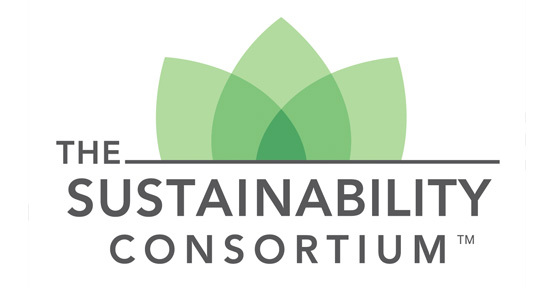 The Consortium generates and tests a wide range of solutions, including technologies, policies, economic incentives, social change and cultural practices, and runs a unique grant program to fund its members’ sustainability projects. Fortune Global 500 company Henkel has joined ASU to measure and monitor the total environmental impact of their products through the Life Cycle Impact Analysis process (LCIA). LCIA is a multidisciplinary platform that empowers material scientists and industrial ecologists to work together, innovating more sustainable products for Henkel at all stages in their supply chain. ASU has joined the International Union for Conservation of Nature (IUCN) as a Red List Partner. The IUCN Red List quantifies global species extinction risk and is used to inform policy, planning and conservation action around the world. 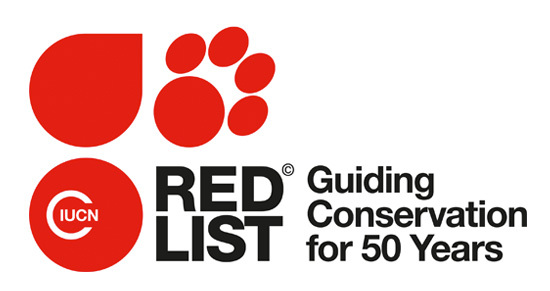 As a Red List partner, ASU evaluates and applies scientific data, assisting global leaders to develop strategies for species conservation and biodiversity decision-making. 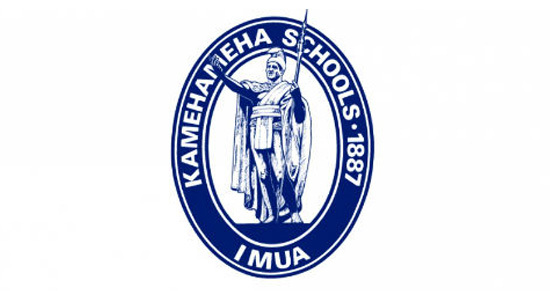 ASU and Kamehameha Schools have signed an MOU outlining their educational partnership for a three year pilot program in Hawai’i. ASU will assist KS teachers to enhance the wellbeing of its students by providing online and in-person skills training. KS teachers will educate their students about sustainability principles and solutions using interactive, exploratory learning techniques provided by ASU. The National Autonomous University of Mexico (UNAM) and ASU have partnered to pursue various renewable energy initiatives, including the megacities project MEGADPT. ASU contributes sustainability expertise to the project to tackle the challenge of reducing vulnerability under climate change due to increased flooding, chronic water scarcity, and associated health outcomes in Mexico City, one of the world’s largest metropolitan areas. 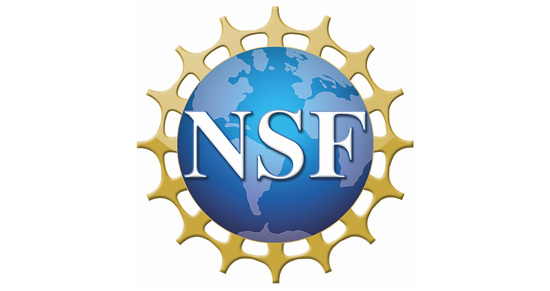 ASU has teamed up with the National Science Foundation (NSF)’s Engineering Research Center to transform the United States’ centralized power grid into a “smart grid.” This “smart grid” will be able to integrate alternative energy sources, such as wind, solar, and fuel cells, into its distribution portfolio. ASU faculty will use its expertise in power systems engineering to develop new technology and to re-engineer a “greener” power grid. 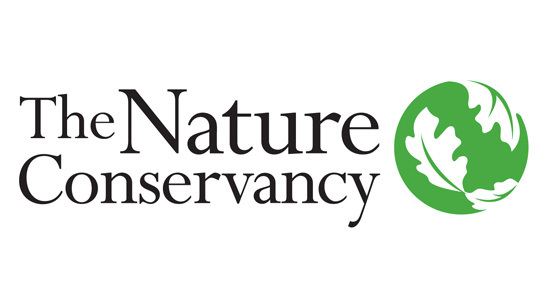 The Nature Conservancy has joined ASU’s Center for Biodiversity Outcomes (CBO) to create the NatureNet Science Fellows program. The program brings together scientists and engineers from diverse fields to tackle climate change, technology, and conservation challenges. Fellows will have the opportunity to conduct their research at ASU for two years with access to mentorship by CBO faculty and additional engagement with the ASU community. 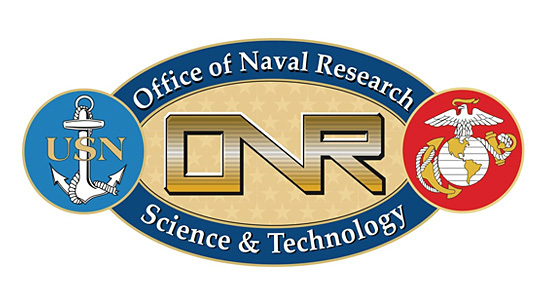 ASU and the Office of Naval Research have partnered to create the NEPTUNE program — Naval Enterprise Partnership Teaming with Universities for National Excellence. NEPTUNE facilitates the collaboration of active duty military, NROTC and veterans to work on Naval and national sustainable energy projects. ASU LightWorks provides program participants with innovative technology and training to allow them to generate crucial energy advancements. NRG Energy, Inc. and ASU have teamed up to develop a working prototype of a solar and battery storage container as a solution to quick power generation in the areas that need it most. 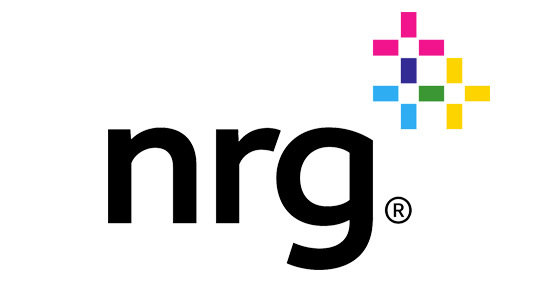 ASU researchers gain valuable training by working with NRG to find answers to global energy challenges, while also contributing to sustainability NRG’s goals of benefiting society and the environment. 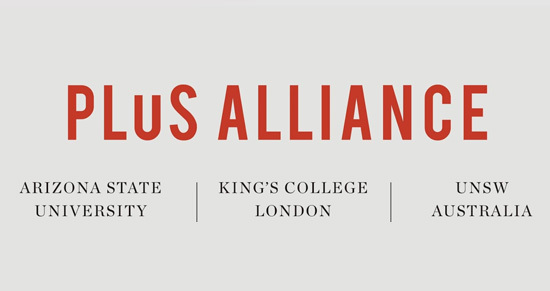 ASU, King’s College London, and the University of New South Wales in Australia have teamed up to create the PLuS Alliance, a tri-continental partnership to help find research-led solutions to global challenges and expand access to world-class learning. ASU brings its faculty’s expertise to the partnership to address global issues related to sustainability, health, social justice, and technology and innovation. 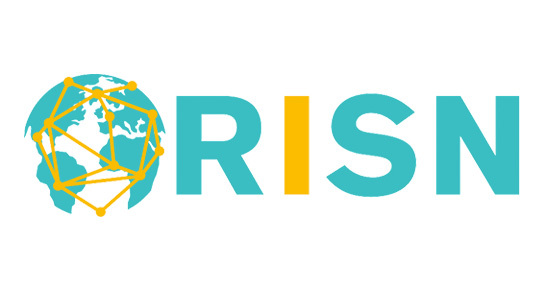 ASU and the City of Phoenix teamed up to create Resource Innovation and Solutions Network (RISN), a global network of public and private partnerships that advances a circular economy for the Valley’s waste. Instead of sending waste straight to the landfill, RISN finds innovative ways to repurpose it, and plans to assist the City of Phoenix in reaching their goal of a 40 percent diversion rate by 2020. 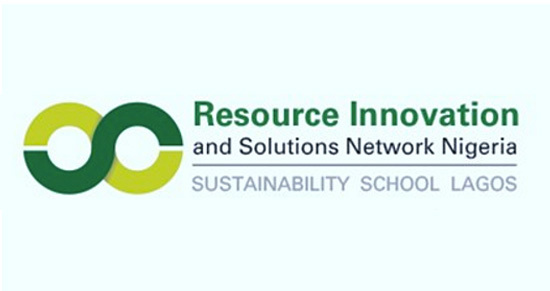 ASU has joined forces with the City of Phoenix’s Resource Innovation and Solutions Network (RISN) to create RISN Nigeria, an international hub at Sustainability School Lagos. RISN Nigeria utilizes input from academics, practitioners, consultants and students to develop waste management strategies and to improve sanitation infrastructure in Lagos, Nigeria. ASU provides the hub with sustainability expertise to help turn Lagos’ waste into a valuable resource. Safeway partnered with ASU to become the first grocer founding member of The Sustainability Consortium (TSC). ASU aids Safeway’s sustainability initiatives by providing a platform for Safeway to educate themselves about the life cycle of various products and their resulting environmental impacts. Safeway considers these metrics while making purchasing decisions to provide sustainable options to its customers. 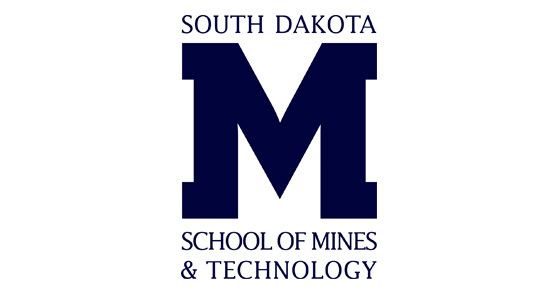 The South Dakota School of Mines & Technology (SD Mines) has entered into an agreement with ASU to encourage and promote cooperation in research and other initiatives. These initiatives include long distance learning, student success and other services, with a focus on sustainability, energy, and natural resources. By joining forces, ASU’s notable research fortitude will assist SD Mines in their energy and environmental studies endeavors. 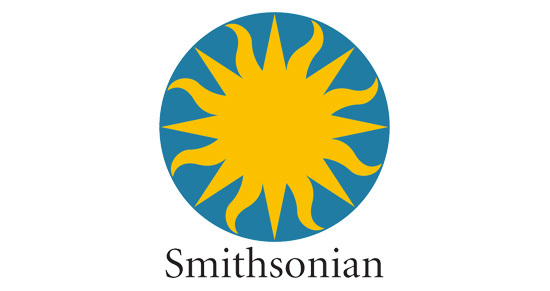 The Smithsonian Institution has joined ASU in an educational and research partnership to create a virtual global classroom. Using Vidyo video-conferencing technology, ASU students collaborate with Smithsonian researchers working in Panama to study tropical ecosystems in real-time: all from ASU’s Tempe campus. These collaborations focus on sustainability, biofuels, and social structure, as well as how researchers can use online approaches to study biodiversity. Starbucks and ASU have joined forces to create the Greener Apron Program, a sustainability training program for Starbucks partners worldwide. Through the online program, ASU educates partners about water and energy conservation, climate change, and sustainable agriculture, as well as Starbucks’ efforts to address them. The program equips partners with the tools to make a difference in their workplace and in their everyday lives. ASU and the STEPS Centre (Social, Technological, and Environmental Pathways to Sustainability) are working together to tackle STEPS new project, Transformative Pathways to Sustainability. Hallie Eakin, an ASU senior sustainability scientist, leads the North American hub, a collaboration between ASU and the National Autonomous University of Mexico (UNAM), to conduct “waste and water for sustainable cities” research in Xochimilco, a threatened wetland outside of Mexico City. ASU has formed an international partnership with the largest private not-for-profit university in Mexico and Latin America. Through joint academic training programs and job creation projects, this partnership empowers future Latin American business leaders to make an impact in environmental fields such as sustainable development, clean technologies, and green business creation. TESCO, and its company-funded Sustainable Consumption Institute at The University of Manchester, have partnered with ASU to join The Sustainability Consortium (TSC). 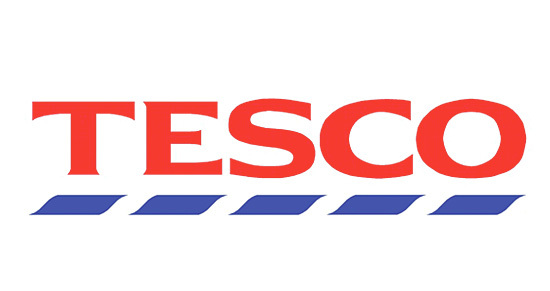 TSC aids Tesco in calculating, monitoring, and reducing its carbon emissions to reduce its overall carbon footprint. TESCO hopes to become a zero-carbon business by 2050, and its collaboration with TSC can help it to meet its sustainability goals. ASU has partnered with the U.S. Virgin Islands to help the territory to integrate renewable energy practices into their portfolio, ultimately reducing their fossil fuel consumption. 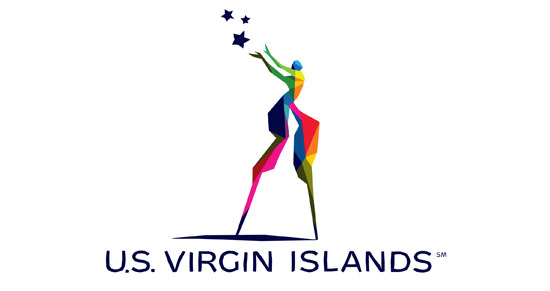 ASU faculty will provide Virgin Island leaders with sustainability knowledge and skills as they collaborate to expand the territory’s renewable energy market and overall energy education. 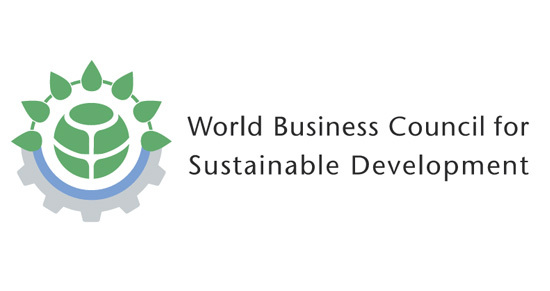 ASU has united with the World Business Council for Sustainable Development (WBCSD) as “Knowledge Partners.” ASU provides the world’s largest companies with scholarship, analytics and decision-making tools to promote sustainable business practices around the globe. ASU scholars will assist WBCSD by proving academic and technical expertise as well as developing hands-on research projects and co-authoring papers.